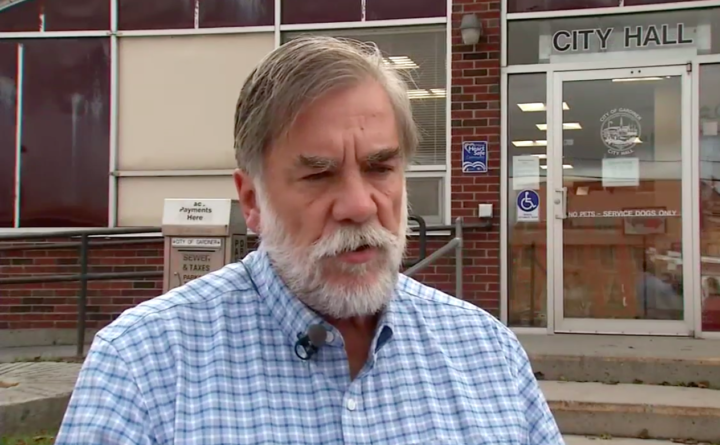 Gardiner Town Manager Thom Harnett talks to CBS 13 about proposed changes to local leash laws after a woman was attacked by dogs over the summer. Dogs in Gardiner may soon have a lot less room to roam, as the city council has voted to change the city’s leash policy, after a woman was attacked over the summer. The council voted unanimously to start the process of amending the city code. Under the proposed ordinance dogs would no longer be allowed to roam off-leash anywhere in the city. This is a big change from what’s in place now. James Forrest brings his dog, Bailey, down to Water Park every day. “She has a fine time down here, we come down here because there’s a lot of river, walk right down the trail here,” Forrest said. Right now, Bailey doesn’t have to be on a leash, but that could soon change. Wednesday night, the town council took the first step to pass a leash law in the city. Gardiner’s Mayor Thom Harnett says the discussion has been brewing for a while, after a woman was attacked by several off-leash dogs over the summer. The woman was badly hurt. “She had over 30 staples in her head, she’s going to need plastic surgery, and one of the more tragic parts to me is one of the owners jumped in the car and left her,” Harnett said. Harnett says the attack became a tipping point for the city. Bailey’s daily walks could change, which Forrest says he doesn’t like, but understands. “Sometimes there’s a dog that’s minding its own business, and it’s on a leash, and then there’s an aggressive dog that just likes to fight,” Forrest said. The council will develop an ordinance with the first reading on October 3, and second on October 17.